As a leader in the marine transportation industry, we are committed to making sustainability a priority. This includes protecting the environment and wildlife in the communities in which we operate, investing in more efficient processes and equipment, promoting local economic growth, and providing a safe work place. As part of our Global Commitment to continue leading our industry to operate more sustainably, our approach integrates these values into all our decision-making, from daily operations to long-term investments. GCT’s Global Commitment ensures that we continue to demonstrate our responsible stewardship through innovation, densifying on our existing footprints, improving our energy efficiency, and decreasing overall emissions. A commitment you can see. As our terminals continue to expand and increase capacity, sustainability remains a core focus in everything we do, from our operating procedures to the equipment we use. The “Global Commitment” seal is our visible pledge to a greener future and will be placed on all GCT heavy iron equipment that meets our environmentally-friendly standards. 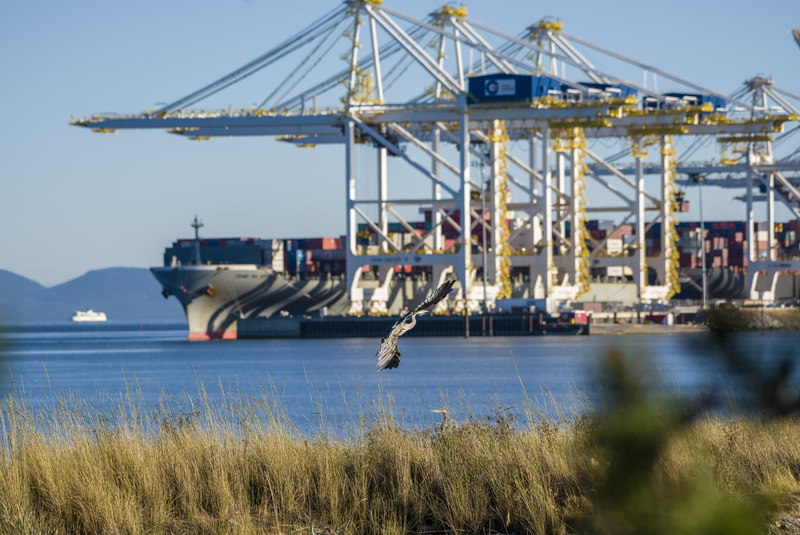 In 2017, the seal made its debut on our fleet of electric high-efficiency cranes at GCT Deltaport – eight CRMGs and two ship-to-shore Megamax cranes. It is also featured on our electric, dual cantilevered RMGs servicing GCT Bayonne ExpressRail (Greenville Yard). In 2014, GCT Global Container Terminals Inc. joined Green Marine, a voluntary environmental certification program for the North American marine industry. The program sets higher benchmarks for air, land, and water emissions than those set by government regulations so that as an industry, we can work toward a more sustainable future. To date, GCT is the only member to individually certify all its facilities and continues to score among the highest marks awarded to any participant. In 2017, we recertified each of our terminals and are proud to announce that our scores are even better now.  Individual scores for each terminal improved in every category, putting us at the “Excellence & Leadership” level in almost every area. As we continue to upgrade our facilities and innovate our operations, we will continue to set a high standard for the industry to follow. Working together for something greater. Our collaboration with customers, stakeholders, industry and community associations, vendors, and suppliers is what sets us apart from our peers and competitors. We don’t just implement new procedures within our own facilities, we challenge our partners to similarly improve their operations. We believe that by elevating our own policies and procedures, we can influence others in our industry to also change their behaviour for the greater good. As GCT Canada continues to expand and increase capacity, environmentally responsible practices will remain a core focus. We are committed to supporting and protecting the communities in which we live and operate, and have established many successful initiatives at GCT Canada that are making a difference. Expanding reach without increasing impact. 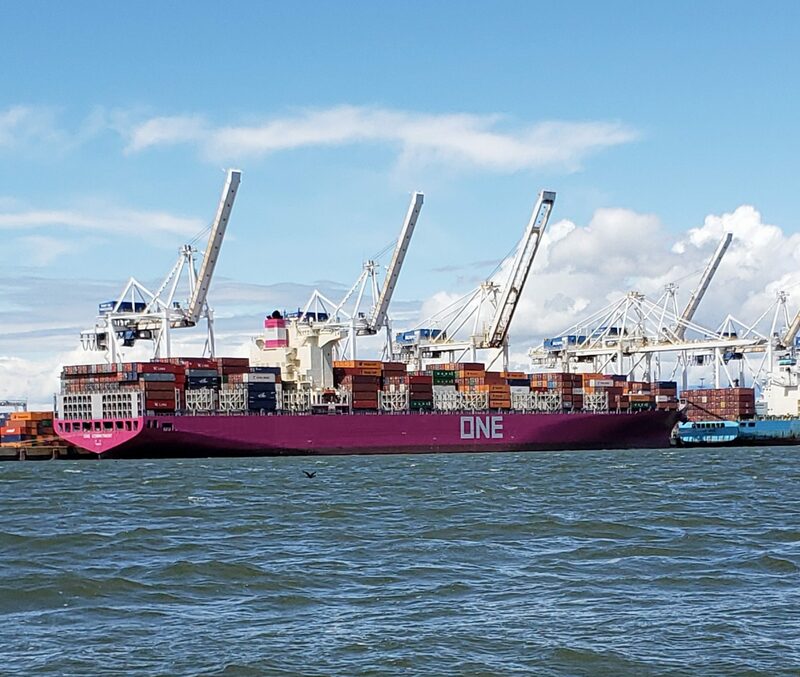 With the industry trending toward customer consolidation, increased container traffic, and larger vessels, our strategy for expansion continues to focus on densification. 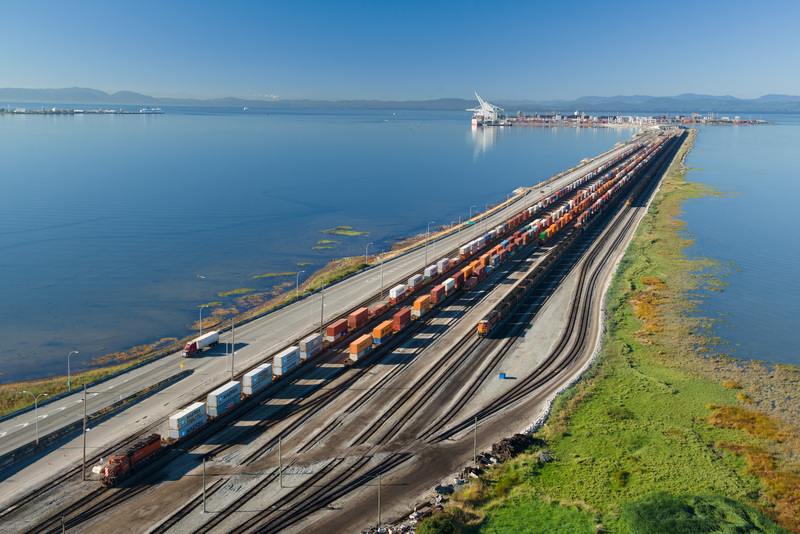 The recent GCT Deltaport Intermodal Rail Yard Reconfiguration Project increases our rail handling capacity by over 50%, significantly decreasing emissions during the process. The state-of-the-art expansion was completed within the existing terminal footprint and includes modern, electric, low-emission equipment, streamlined procedures, and LED lighting. This innovative approach allows us to help our customers grow their businesses with minimal impact on the environment. An award-winning truck gate system. As the pioneers of the truck reservation system in North America, our innovative program at GCT Canada has evolved to include regular weekday night gate operations. The program reduces truck idling and dwell times, and smooths traffic during peak hours, considerably decreasing emissions. The effects of the program are equivalent to removing 800 cars from the road per year and earned us recognition as one of Canada’s Clean50 Top 15 Projects for 2017. As part of our commitment to a more sustainable future, we are continually evaluating our equipment to see where we can introduce newer, more environmentally friendly options. 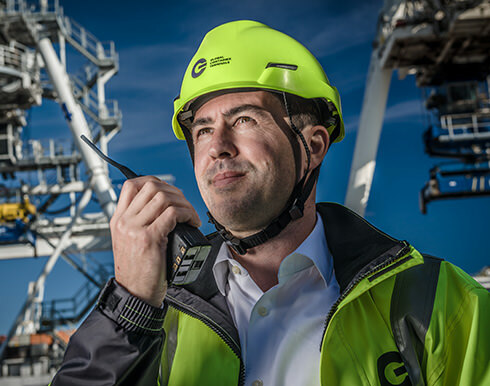 This includes everything from electric ship-to-shore cranes with regenerative drives to LED lighting and low-emission container handling equipment. As conscientious neighbours, we are always searching for ways to minimize both the noise and light emitted from our facilities. In 2014, GCT Canada tested new audible enunciators at our facilities and in-ground lighting at the GCT Vanterm rail yard. Moving forward, we will continue looking for ways to reduce the impact on our workforce and nearby residents. Everything we do at GCT revolves around making sure that our staff and workforce are kept out of harm’s way. This approach to safety is what inspired many of the recent innovations at GCT Deltaport, including the design of the reconfigured intermodal rail yard. The new track layout keeps tractor trailer traffic outside the working tracks, creating a safer work environment and increasing the capacity of the railyard at the same time. Establishing higher standards of safety. 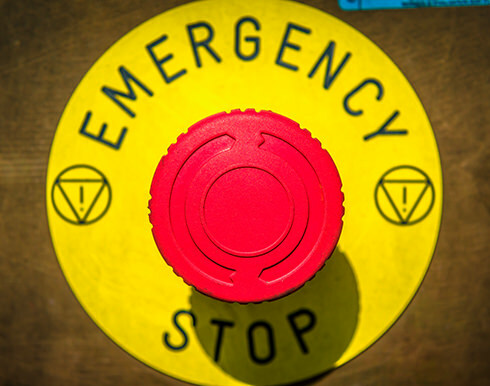 When it comes to safety, we believe it’s our responsibility to go beyond current regulatory requirements and actively pursue new procedures, policies, and equipment—not just for the wellbeing of our workforce, but for the entire industry. 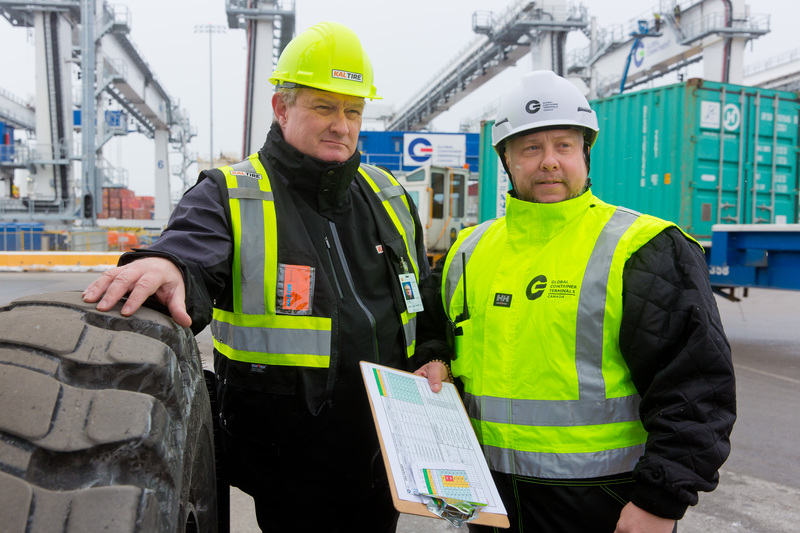 With the support of the BCMEA and the ILWU, GCT Canada leads industry safety standards in the Port of Vancouver. Our implementation of Type II hardhats for all our staff and workforce is just one example of our full commitment to safety. Building a strong community for the future. It is our duty as responsible, corporate citizens to ensure the future of generations to come. We are committed to strengthening our local communities and enriching the lives of those who live there, many of whom are employees of GCT. 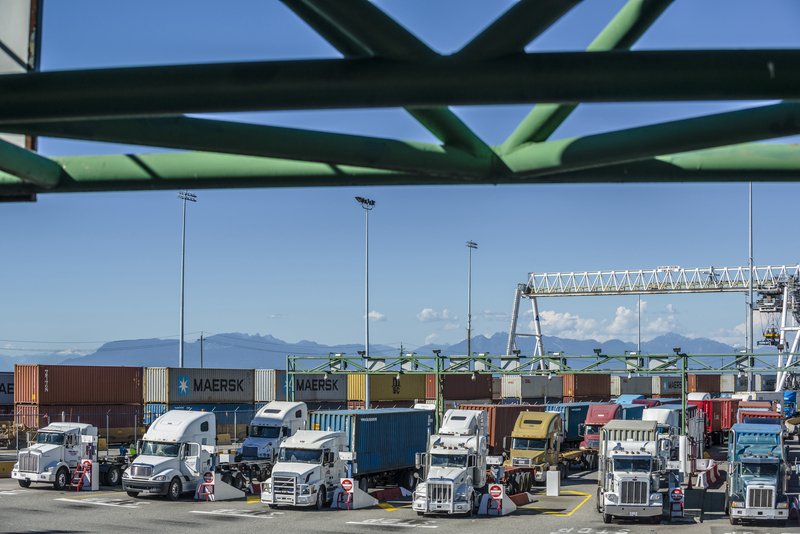 In 2016, we put $24.3 million back into Delta businesses and the recent GCT Deltaport Intermodal Rail Yard Expansion will result in approximately $900 million in combined economic benefits for BC and Canada. As an organization, and as individuals, we are continually searching for ways to reduce fuel consumption, use resources wisely, and decrease our environmental footprint—all while maintaining our economic competitiveness. GCT Canada actively supports charitable organizations that align with our core values of sustainability and safety, including programs that support youth, education, and the environment. GCT Canada proudly supported the REACH Child & Youth Development Society in Delta with a significant donation to aid in the construction of a much-needed new child development centre. The GCT Canada soccer team “Raining Steel” won the 2016 and 2017 Seaspan World Cup soccer tournament and donated their winnings to the local Vancouver KidSport chapter, an organization that helps local children access sports programs. GCT Canada also regularly supports the local Delta chapter of KidSport. Every year, GCT participates in the annual Port Gala which brings together port terminals, suppliers, and operators to help raise awareness and funds for community organizations like Harvest Project, Mission Possible, and REACH Child & Youth Development Society.